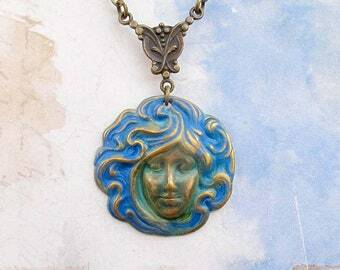 Art Nouveau Goddess necklace with a blue and verdigris finish. 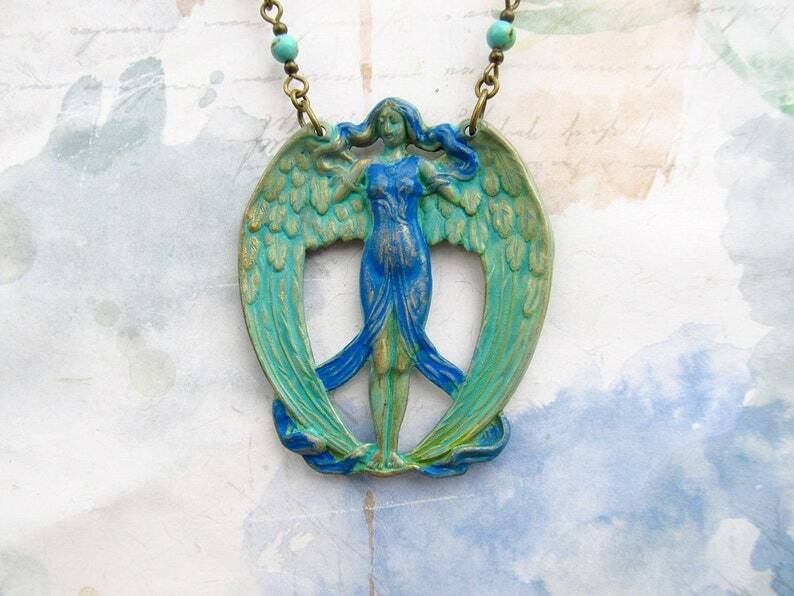 I love how the drape of the gown creates a peace sign on this winged goddess pendant. The stamped brass charm is made in the USA. I gave it a two tone patina finish using chemical patinas of verdigris and powder blue. The patina finish is sealed with 3 coats of lacquer spray and wax. Small round stones of dyed Magnasite in turquoise dance about a antiqued brass chain. Pendant 2 1/4 inches high and 2 inches wide. Beautiful--as always. Thank you very much.